With our ACE program, our team of qualified trainers have helped countless people improve their verbal and non-verbal communications skills. Learn more about our ACE Approach programs and discover how we can help you gain communication confidence. 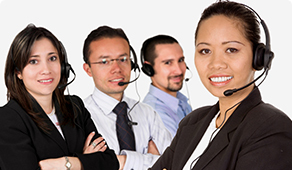 “I have been searching for a highly proficient accent coach or institution. There are many online courses but I was not sure the courses until I found the Accent & Corporate English Training Classes, offered by Buffalo Hearing and Speech Center. Carrie is an excellent Speech trainer and she customized the communication training course. It was extremely well designed. I really enjoyed this Accent and Communication training and it has given me a new confidence in dealing with my work situation and my personal confidence. All things about the course were excellent and extremely helpful. I enjoyed it very much." How Does the ACE Approach Work? Clients starts with a personalized assessment to guarantee results. We offer E-Learning courses so you can progress at your own pace. Receive beneficial results in the communication skills you need. ACE helps you utilize the ever-increasing workplace diversity as a vehicle for effective communication. Our programs address the areas of Spoken English and Listening Comprehension through improved pronunciation, intelligibility and confidence of speech. Instruction and practice materials are designed to allow the participant to continue to progress with the English language after the course has ended. If you wish to be perceived as competent and confident in a personal and professional capacity AND be a successful communicator at the conversational level, ACE Solutions can help! Our clients now have the tools needed to master even the most specialized, technical or scientific terminology. ....or anyone wishing to improve their English fluency and comprehension skills! Are You Ready to Get Started with the ACE Approach? Contact us today to get started with a customized ACE program. If you still have questions, feel free to contact us. We are here to help. “I have been searching for a highly proficient accent coach or institution. 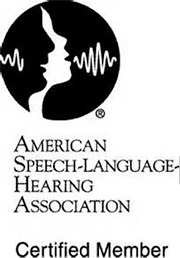 There are many online courses but I was not sure the courses until I found the Accent & Corporate English Training Classes, offered by Buffalo Hearing and Speech Center. Carrie is an excellent Speech trainer and she customized the communication training course. It was extremely well designed. I really enjoyed this Accent and Communication training and it has given me a new confidence in dealing with my work situation and my personal confidence. All things about the course were excellent and extremely helpful. I enjoyed it very much. Get Started with a Free Speech Screen! Begin your journey towards achieving communication excellence. Download a copy of the ACE brochure for yourself, a friend, or your employer.